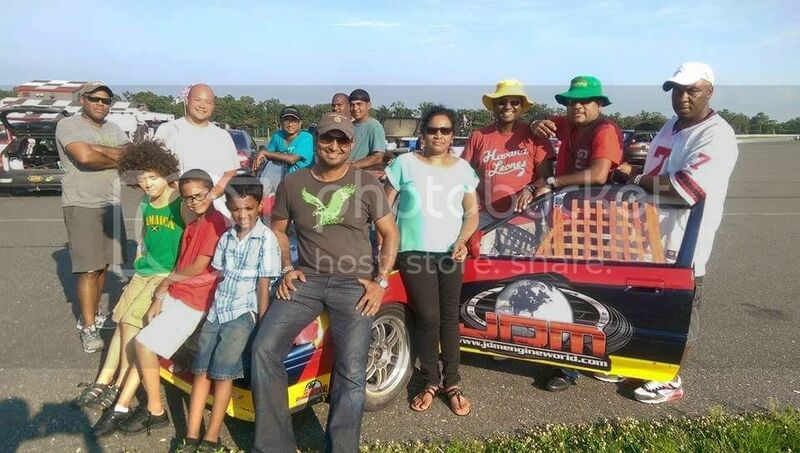 I had some fun with some of the members of Team Guyana over the weekend at Lightning Raceway at the New Jersey Motorsports Park , and as usual came away with an onboard video. I thought it would be nice to share ..... enjoy! The driver Kemal not only races but is also a skilled mechanic. I saw him remove and replace the engine , suspension , and cross member of a race s2000 in couple of hours . What he does with only one hand is more than most of us can only dream of while equipped with two. No background info to include the car etc. Legit critique.... will update video when the info is collected. Working on editing skills. Legit critique.... will update when the info is collected. Working on editing skills. ferraris always crashing....why? car or drivers? Live audio and another live scoring link with clear live video. The promoters of the TCR International Series, WSC, have launched a brand new championship in Central America and the Caribbean, titled TCR Las Americas, which will launch in October this year for a 2016-2017 season. The series was launched last week in Santo Domingo and will take place over seven countries during the 2016-2017 season, starting in Mexico at the Autódromo Hermanos Rodríguez circuit, supporting the Formula 1 World Championship, and ending in Venezuela in March 2017. “This was a plan we have worked on for some time, as this region is an important market for car manufacturers and has a long-standing tradition for touring car competitions,” said WSC CEO Marcello Lotti. What's going on not hearing from my friends about circuit racing in Jamaica and the Caribbean. Had computer problems for quite awhile now, but I am back ,Let talk motor racing. Young Calvin Ming son of the grate Stanley Ming who made a name for himself as an outstanding organiser and motor racer must be a proud dad. Calvin has made all Guyanase proud with his performance in Mexico. Sounds like revamped "Speedwest Weekend, JamWest" format .... should be interesting to see outcome / execution. The Speedwest weekend wasn't the first time I planned and executed an event with that format however. There was the Vernamfield Rebirth event as well before that. Guyana's Christian Jefferies wins at Hungaroring. At the extreme risk of sounding like Mr. J., the "onesport" concept as you've termed it was also done twice with the Mobay @25 City run to celebrate the 25th anniversary of Montego Bay gaining city status and then the Red Bull Formula 1 Urban Run and Auto fair when Sebastian Buemi piloted the Red Bull Renault powered Formula 1 car along Trafalgar Rd in New Kingston. Both events had rallysport, drag, classic, remote controlled, go karts and circuit cars on show, alongside multi new car dealer displays. Such events may be sustainable to some degree if done annually, but unless fresh acts are brought into play, it would become stale like a local bike show after a short while. 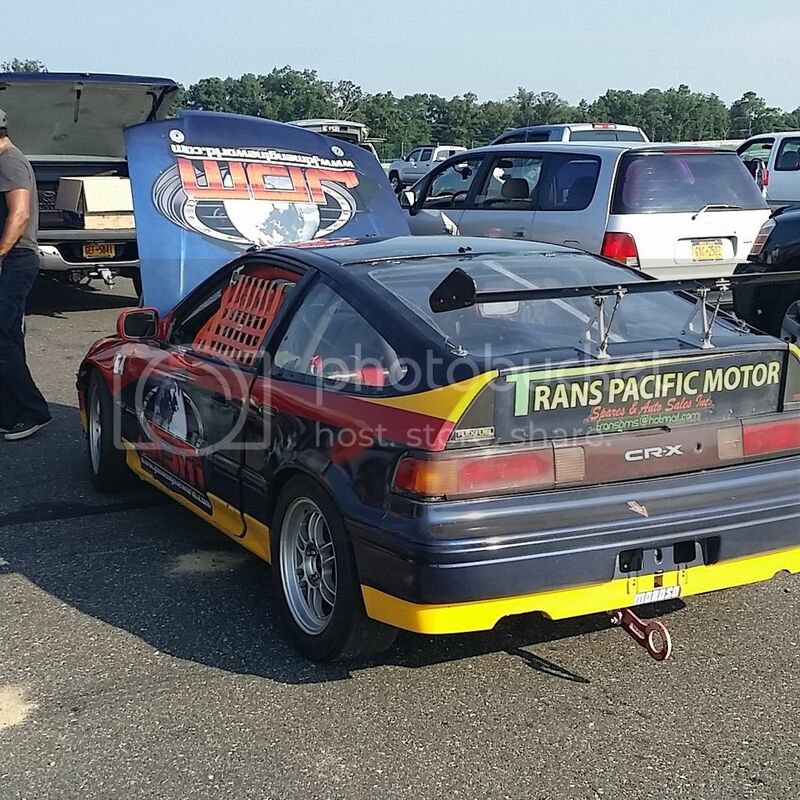 Bushy Park Motorsports Inc has done quite well in having a great variety of events, including Red Bull Global rallycross, Top Gear, Race of Champions, Suzuki SR3 and Swift Challenge races, bicycle racing, drag racing, walking, running, go karts and saloon car races. Not to worry @DT .... we all will eventually tell "War Stories" like Mr J on social media. Knowing that you've been in the trenches, what you outline are One-off events .... an annual localised event becoming stale is a real possibility but great promoters/ organisers rise to that challenge with a professional team .. imo. Never heard anyone say Dream Weekend is the same BS every year. Barbados has developed an annual local signature event while we pontificate but they have a mortgage/ bond to pay ... https://www.facebook.com/BushyParkBarbados/videos/688999201299380/ after learning from hosting the international events you mentioned. IMO the SpeedWest Wknd concept development (A+ branding imo) should not require the CMRC component yearly to be viable if most facets of local motorsports were available to promoters (Possible event date to allow New Car staging component after MBJ Auto Show ... lower logistics cost to JW for new models eye candy component ) and a non-local component added each year but we all know about competing interests in local motorsports when cooperation is required. As u outlined in the past with the Red Bull Formula 1 Urban Run if the $$ flowing everybody happy with the "food eating" so anything is possible with the right $$ input. BTW ... I would love to see the transportation budget for #FOS .... Mastercard sponsorship priceless !! 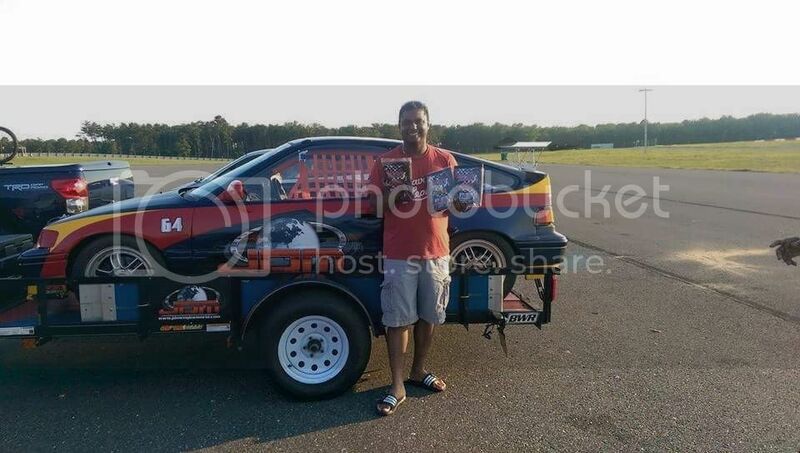 How costly it is for a Jamaican motor racer to go to Barbados, Trinidad and Guyana to race. NOW THAT THE CAR IS READY,, Transport it to the Wharf, get a Custom broker to prepare the customs documents. Pay wharfage, Arrange to have it loaded on the ship.A SIMULAR SITUATION WHEN THE CAR RETURN. These of course are some of the many related expenses. MOTOR RACING HAS TO BE THE MOST EXPENSIVE SPORT. Charlie11, Anxious to learn how well Kyle did in Barbados.Do know? If so let me know. Kyle finished 2nd in race 1 to Roger Mayers. Barry Mayers was 3rd. In race 2, Kyle developed some kind of engine problem losing power and oil pressure and retired after completing 4 laps. Roger did not start that race nor any other for the day. He and Kyle both were to take no further part in the event. Barry went on to win race 2 and 3. Peter Rae had 3 3rd place 2wd Group 4 finishes and left the track near the end of race 3 with brake failure. Having completed more than 75% of the race distance, he was still classified as a finisher. He is alright but the car is damaged. All event Results and lap times are available at mylaps.com. Barbados, Trinidad and Guyana all use the mylaps timing system. Jamaica is the only participating territory of the CmRC that does not currently use that timing system, even though one is owned and operated by the Jamaica Karting Association and has been rented and used effectively by a JRDC event organiser both at Dover and Jamwest speedways. The event Results can be uploaded in real time and the race timing followed by anyone with access to the internet if the timekeeper possess the option to do so. WHERE IS DEAN AND OTHERS MOTOR RACING ENTHUSIAST, NOT HEARING ROM YOU GUYS IS MOTOR RACING DYING? No internet and no time. Working. Work, Family , and Saving/Investing for retirement taking center stage right now. gave this very answer to a question directed to me the other day. those people who like/respect Hilary Jardine and those who admire him? Do you remember the Vernamfield days?